HO scale detail part for heavy duty ratchet style chain tie-downs with compression units used on military and heavy-duty civilian loads. ON SALE NOW 50% off for singles and 3 packs. This kit is a set of photo etched heavy duty tie-down chains, shackles and rings. As a bonus the kit also includes 3 heavy duty chain hoists. 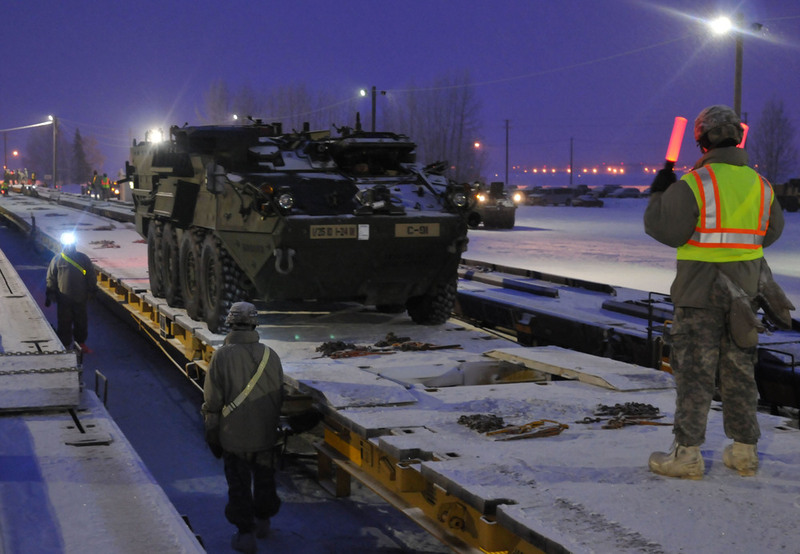 The chains are used on military and civilian flat cars to haul military vehicles, MOW vehicles, farm and construction equipment, and other heavy loads. They are called several names including ratchet turnbuckles with compression units, and ratchet binders. One manufacturer is Portec Rail. Their catalog has more info at this link. Other manufacturers include Holland and the Crosby Group. The photo etched kit includes 30 chains, four pintle rings and three chain hoists. 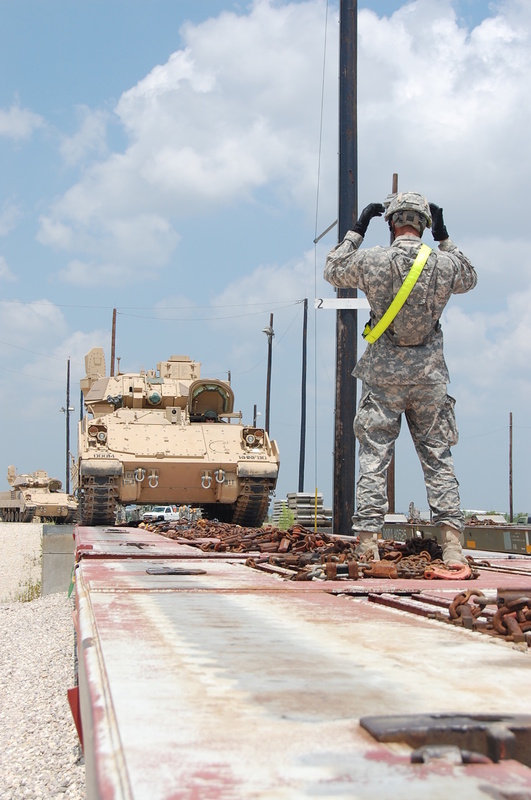 The chains stay with the car when it is empty, or can be used to load HO scale armored vehicles, farm equipment and trucks. These detail parts can be used to enhance any appropriate HO scale flats car with loads such as the Intermountain 60-ft flat car, the UTI 40000 series brass cars, and the soon-to-be released Albrae 40000 flat cars. Click here for the instruction manual for this kit. 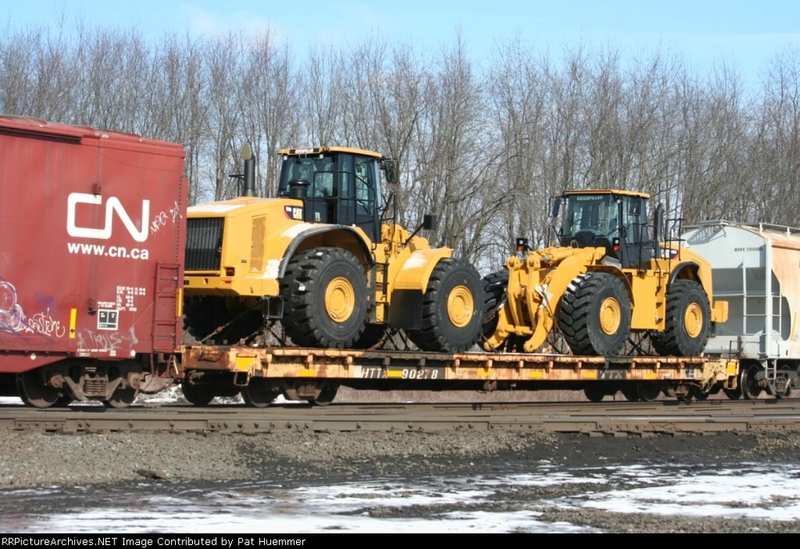 The 68-foot DODX flatcar uses a heavy-duty load securement system. Four steel flush-mounted channels run its entire length. 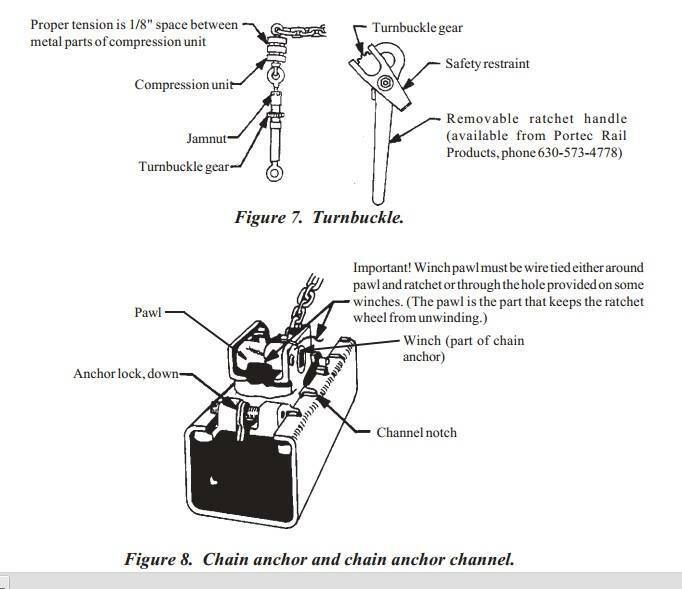 Each anchor has a load binder (turnbuckle) that connects to a 1/2-inch alloy chain. When in use, a vehicle is driven or rolled to the appropriate place on the flatcar, where it is secured by conveniently placed chains. The slack is removed and the chain tightened at the load binder. MTMCTEA Pamphlet 55-19 provides detailed guidance on tie-down devices. Chains, shackles, and rings on empty cars must be secured to the flatcar so they will not become free and can be accounted. 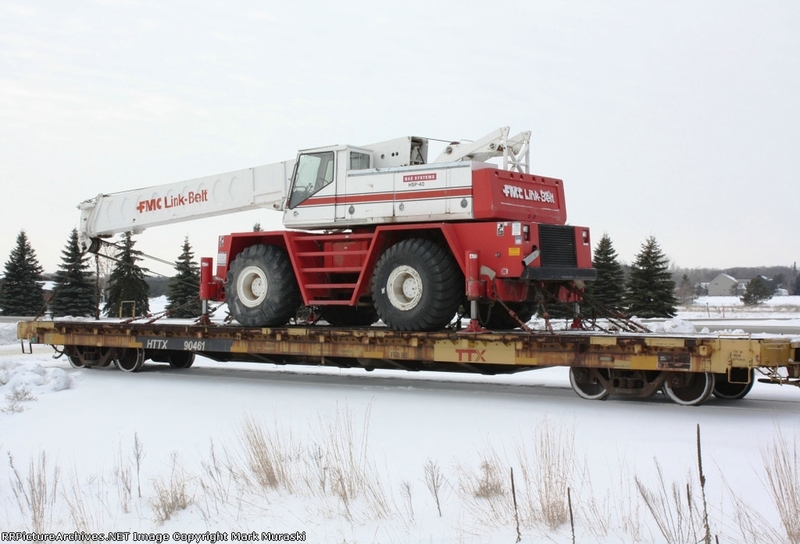 The 60-foot HTTX flatcar has heavy-duty turnbuckles and chains in its four channels. 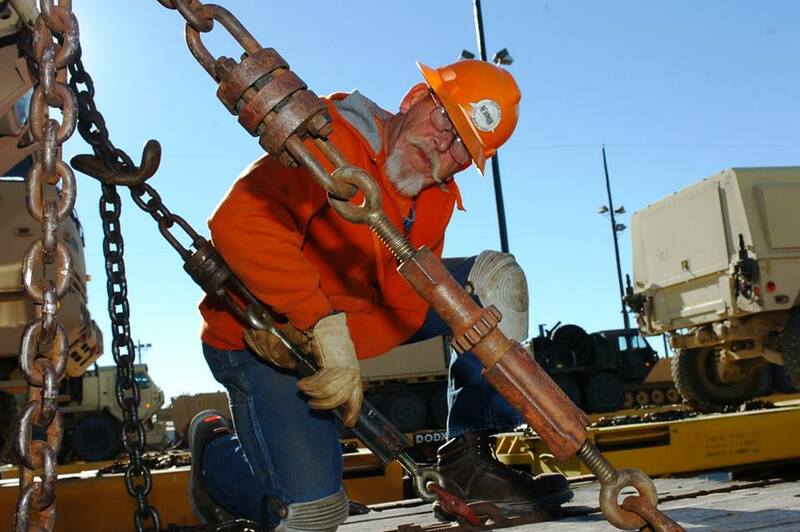 The tie-down system consists of retractable tie-down anchors equipped with chain assemblies that have a load binder, a heavy compression unit, an adjustable grab hook, and a 1/2-inch alloy chain. The car may come equipped with heavy-duty chains and anchors. Use heavy-duty turnbuckles and 1/2-inch chains with stake pockets with the 60-foot TTHX flatcars. The chains are attached to castings that are retained in the side stake pockets of the car. 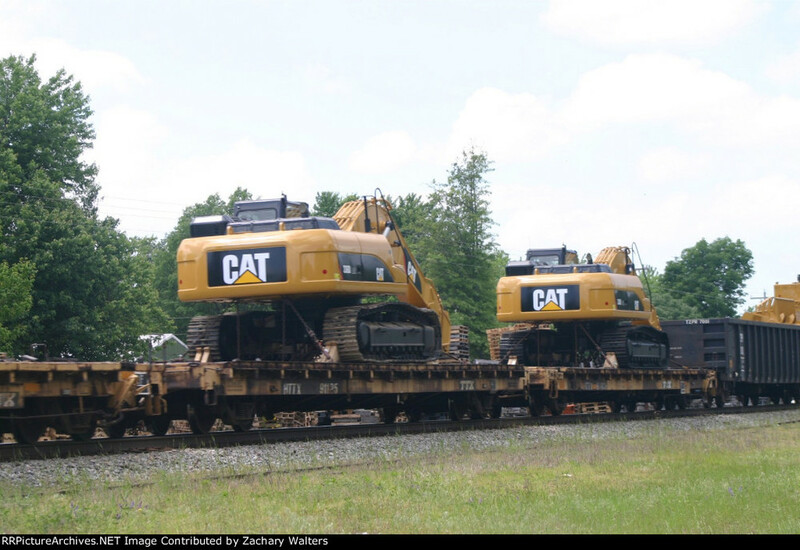 The 60-foot TTHX flatcar is still in service but has been replaced by the HTTX flatcar. 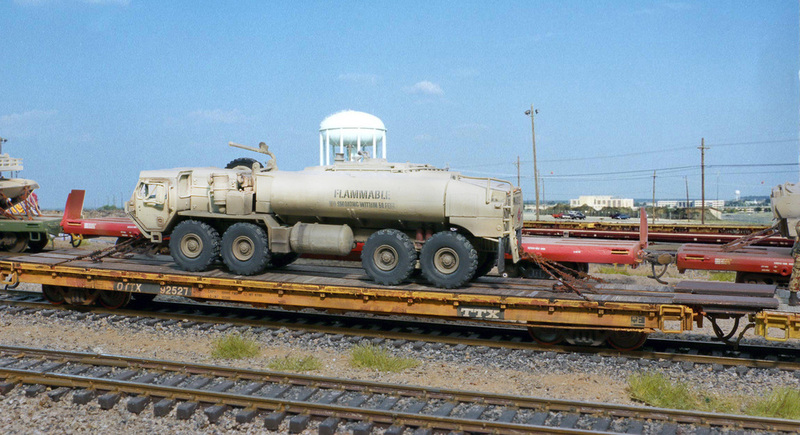 Designed as a farm equipment car, the 60-foot OTTX flatcar has many military applications. The car has four tie-down channels, two along the sides of the car and two down the center. The movable and retractable ratchet winches are usually equipped with chain tie-down assemblies and a 3/8-inch alloy chain. The flatcar also uses the 360-degree saddleback winch. See the Paypal links below or order via snail mail. A UTI Models 40000 series flat car with Alkem Scale Models tie down chains. This model was an imported brass model that is sold out, but some may be available via auction sites.